This is their way of moving the ball out of their court. “Find a legislator? !” They knew we’ve been trying to recruit a legislator since Gov. Schwarzenegger vetoed a ferret amnesty bill in 2004. Ferrets are legal in 48 states, but California is not one of them. 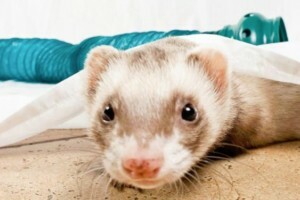 To even get a response from Sen. Vidak’s office took a few hundred emails from ferret lovers. Legislators’ normal response is to ignore us. 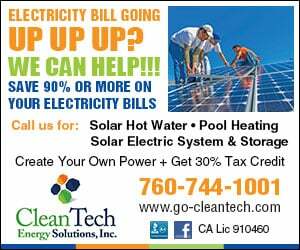 A fact that Assemblyman Marc Steinorth mentioned at a town hall meeting. He later said he was joking but that does seem to be the official Republican position – ignore California ferret lovers. We heard from multiple legislative directors they expect our annual appeal to find a legislative sponsor. They roll their eyes, they say no or they ignore us and expect it again the next year. What’s the big deal with ferrets? Certifiably domestic. Legal in 48 states. Never an issue of feral populations or attacks on wildlife. They’re harmless house pets. Yet it continues to be a misdemeanor in California. People can’t move here with their ferrets. You probably can’t get a security clearance or be a foster parent. I myself was denied a real estate license because of my ferret activism. This is clearly a case of when the door slam shuts, crawl through the window. That is what we are doing. When I asked the city of La Mesa for a proclamation, I felt it landed with a thud. Luckily on our City Council is Kristine Alessio, an activist with the Savannah cat community who has faced similar issues. We also had Councilman Bill Baber, who knew a ridiculous law when he saw it. Thanks to them and the other two City Councilmembers, Guy McWhirter and Colin Parent, and our outstanding mayor, Mark Arapostathis, the city of La Mesa issued the first proclamation calling on the state Legislature to pass ferret legalization legislation. We have politicians with courage who stand up for the little guy. What a great feeling! All politics is local. And meeting City Council members at the grocery store or on my dog walks brings a connection. Meeting state legislators at official functions puts the little guy at a disadvantage. 3) Ask the legislature for an introduction of responsible legislation to legalize them. Please help us. We are running out of windows. We are locked out of the Fish and Game Commission and we haven’t been able to attract a state legislator. Help us crawl through this window. Freedom rings! Pat Wright is a North County native currently living in La Mesa. CORRECTION: This story was originally posted with a photo of a mongoose, not a ferret. Update: Winds expected to pick up as Lilac Fire enters third dayWill top-two ‘jungle primary’ aid Feinstein?